Add some adventure to your kitty with the Savvy Tabby Glitter Critters Cat Toy Snail! Build your cat toy collection with the Savvy Tabby® Glitter Critters Cat Toy! Bring your cat's favorite things together with this sparkled toy with a catnip scent. This glitter critter is ideal for batting around, pouncing on, and carrying. Cats will love the different textures and sounds this plush toy makes, and the boingy antennae make a nice carry handle. Cats need faux prey items to play with to regain their inner cattitude. 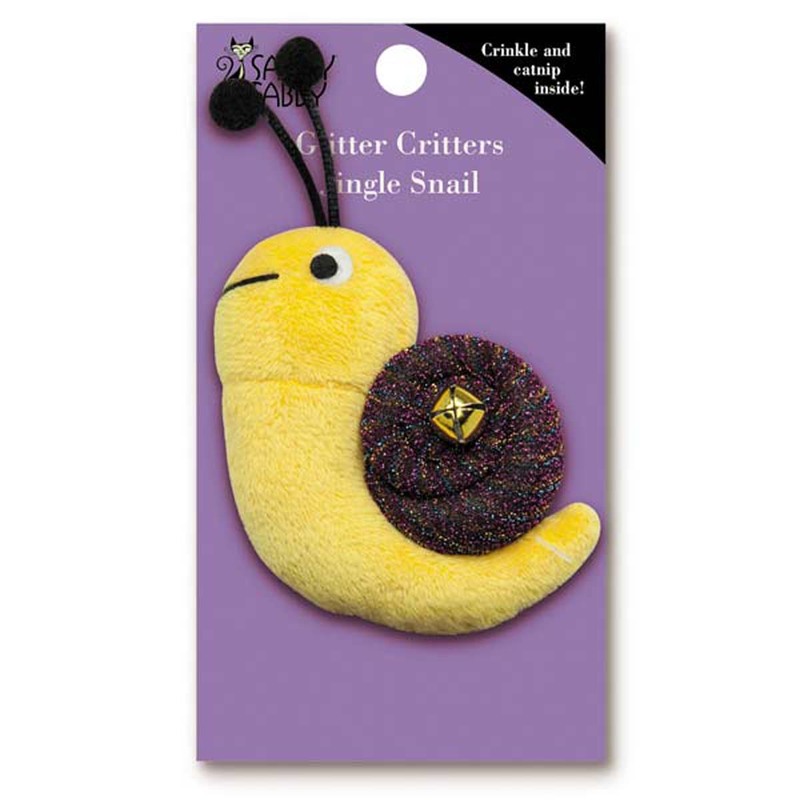 Keeping cats entertained and exercised keeps them healthy and happy, and this snail cat toy can be part of your pet's favorite things to play with. Look for other great cat toys by Savvy Tabby for a variety of toys to keep cats entertained. Made of polyester plush, catnip, and a jingle bell.